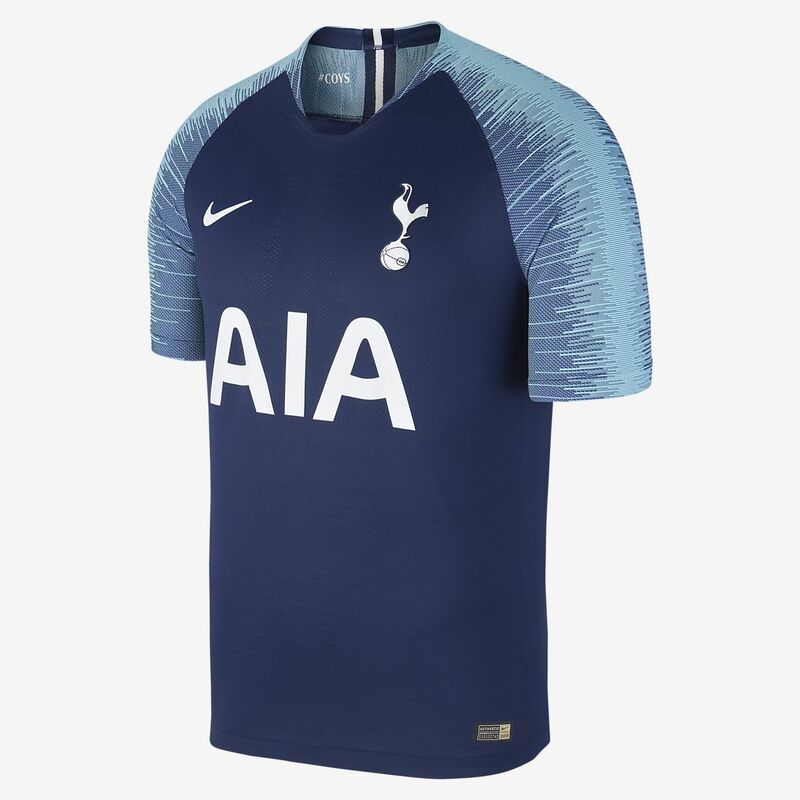 The 2018/19 Tottenham Hotspur Vapor Match Away Men's Football Shirt is the same as the one worn by the pros on the pitch, featuring Nike VaporKnit technology for exceptional breathability and lightweight mobility. The 2018/19 Tottenham Hotspur Vapor Match Away Men&apos;s Football Shirt is the same as the one worn by the pros on the pitch, featuring Nike VaporKnit technology for exceptional breathability and lightweight mobility. Have your say. Be the first to review the 2018/19 Tottenham Hotspur Vapor Match Away.